A graduating student from Delta Secondary School, Tom Robson has been a major factor on the pitching mound for many years, beginning with his first opportunity to pitch in the Mosquito Division of the Ladner Minor Baseball Association. Learning his pitching mechanics from Brent Crowther at the Dugout pitching facility in Surrey, he pitched for the Ladner Nationals as a first year bantam player, assisting them to a second place finish at the National Championships in 2007.The next two seasons were spent playing in the BC Premier Baseball League (BCPBL) for the Fraser Valley Chiefs and the Vancouver Cannons, respectively. In 2010, he joined the Langley Blaze, also of the BCPBL. He was a dominating force this past year, and continues to be into this year, his last with the Langley Blaze. Tom has established himself as the top high school baseball prospect in the country for 2011. In late June 2010, he travelled to Florida where he was recognized as one of the best prospects in North America. 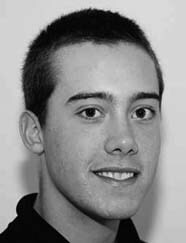 The 6-foot-4 inch right-handed pitcher was the lone Canadian invited to participate in the 2010 National Showcase in St. Petersburg. Only the top 2011 graduating players in North America were invited. In a two inning appearance, Tom strengthened his status as the No. 1 ranked high school player in Canada. He did not allow a hit and struck out three batters. His fastball was clocked at 93 miles per hour. As a result, over 10 NCAA Division I programs were contacting his Langley Blaze coach over a 48 hour period. Throughout his Grade 11 year, Tom was a member of the National Junior Team. He then set his sights on making the roster of the team that was going to compete at the World Junior Championships in Thunder Bay, July 23 – August 1, 2010. He was invited to the tryout which included a series of camps and games used for evaluation purposes. Success followed, as Robson made the 20-man roster as an underage player. At the World Junior Championships, he was near perfect in pitching six scoreless innings in a loss by the score of 3-0 to Cuba. He allowed just three hits, walking no batters and striking out four. He kept the Cubans off-stride all night by having a good command of three pitches – fastball, slider and change-up. What does the future hold for Tom Robson? He has two options – further proceed with his education at a reputable college or university while playing baseball or exercise his eligibility in this year’s Major League Draft where he could play professional baseball. At present, he seems to be favouring the latter. The Delta Sports Hall of Fame wishes him the best in all possible endeavours.